Everyone agrees there should be accountability where the vacation-rental industry is concerned. That has to start with some basic accounting work. The state Department of Taxation (DoTax) has asked the state Circuit Court for authorization to subpoena 10 years of records from Airbnb Inc., the first of the online vacation-rental services it is targeting. Hawaii should applaud the news that the state has started aggressively seeking tax fairness. So should the judicial branch, which should approve the subpoena authorization. For years now, Airbnb has been one of the leading platforms for the industry and has offered to help in the collection of government taxes from rental “hosts” who advertise properties there. This would boost collections of the general excise tax as well as the transient accommodations tax (TAT) that is charged to conventional hotels. Lawmakers, not surprisingly, were incentivized by the prospect and have debated the issue extensively. But the proposed delegation of tax collections to rental brokers has been stymied by a major deficiency: Counties have not all devised ways of regulating these bed-and-breakfast (B&B) and transient vacation units (TVUs) and, especially on Oahu, the vast majority are operating illegally. In 1989, the Honolulu City Council imposed a moratorium on new conditional use permits for the short-term rentals. With the advent of online advertising, however, the industry has flourished. Proving a case against an unpermitted rental is difficult under current city law, which simply bans rentals for terms of under 30 days anywhere other than a resort- zoned parcel. Fast forward to the recent discussions at the state Capitol. 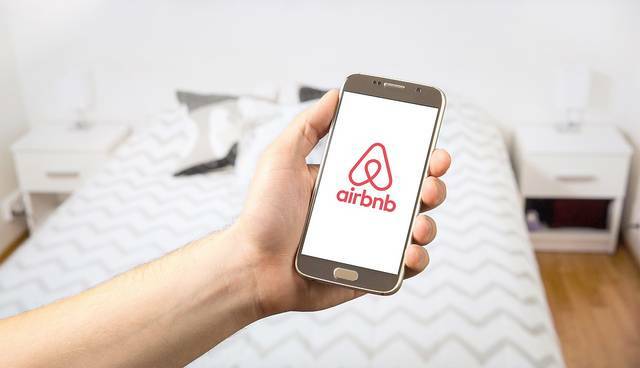 Airbnb, the broker that has pursued the tax collection idea most aggressively, has resisted proposals that brokers be required to check on the legality of the vacation units advertised. And Gov. David Ige has opposed enabling the tax collections through brokers until it’s possible to discern which ones are legal. This has been the right stance, because once tax collections became established, the state’s interest in keeping the revenue flowing would take precedence, giving a kind of tacit approval to illegal operations. And that might have further impeded the counties’ ability and resolve to correct a decades-old zoning enforcement failure. Fortunately, the City Council finally seems to be moving on proposals to legalize B&Bs that meet strict requirements, and to allow a limited number of TVUs to seek a permit as well — with ramped-up enforcement. While that issue moves to the front burner at Honolulu Hale, there is no reason the state taxation agency shouldn’t attempt to address the revenue question. Zoning infractions are properly the counties’ concern, but DoTax should be allowed to pursue taxes that the state is owed, by pulling in records of residences that are operating as tourism businesses. Already the department has been identifying vacation-rental targets by following leads left on its complaints hotline. A special enforcement section has opened more than 300 investigations into vacation rentals in the fiscal year that ended June 30. Investigators should be able to expand that number dramatically if the court grants the power to demand, as the court filing states, “all invoices, receipts, statements and confirmations” of bookings and payments as well as the hosts’ names, tax and Social Security numbers. Once there is a way to regulate vacation rentals and identify them, the state might reconsider having the brokers collect. But the state should not allow rental operators to continue to profit tax-free from what is essentially a hotel that masquerades as a private residence. “Hosts” should not get a free ride — at the expense of those using their own homes as the law intended.